Never Enough Nails: OPI Pink Shatter Brightens My Day! Lately it seems like it's raining every day that I have a little free time for swatching. 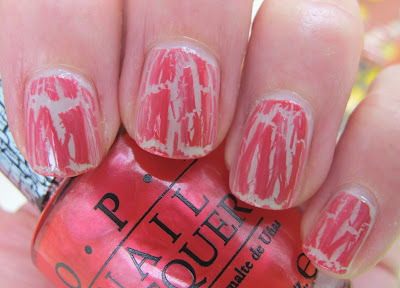 But, on this cloudy and rainy day, I decided to swatch OPI Pink Shatter despite the bad weather! OPI released Pink Shatter in October for Breast Cancer Awareness month. 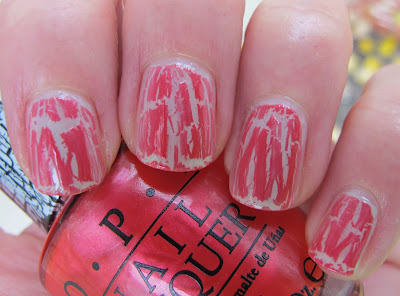 OPI chose a lovely shade of pink in the very cool shatter formula to promote breast cancer awareness this year. I did one coat of Pink Shatter over two coats of OPI Skull and Glossbones. 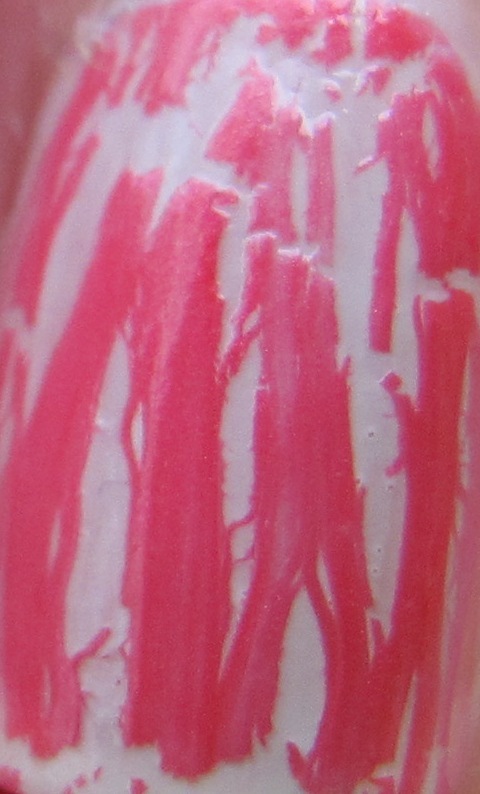 Pink Shatter is a shimmery bright pink that would pop over any light color such as white, silver or even a pale pink. I think it's pigmented enough that it would great over some darker colors as well. I did a medium-thick coat of Pink Shatter and it began to crack apart immediately. I really love OPI's shatter formula. It is by far the best shatter/crackle polish I have tried. I also really love their shimmery shatters like this one and the blue shatters. Overall, I love Pink Shatter! I think I'll be having a lot of fun with it around Valentine's Day!! 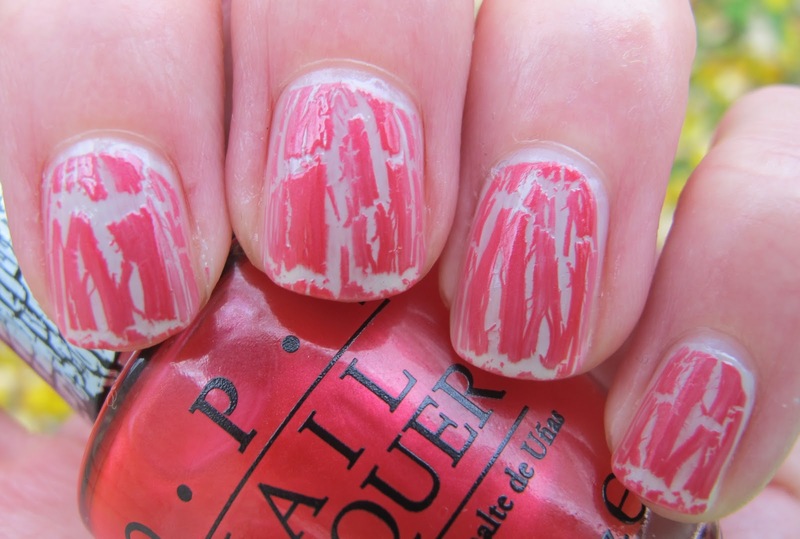 Pink Shatter is definitely a great shade to bring attention to breast cancer. I highly recommend it if you love pink or shatter polishes. OPI Pink Shatter is available now at professional salons like Ulta, Trade Secret and Beauty Brands. This polish was sent to me for review by a PR agent for OPI. For more information, please see my Disclosure Policy.